Our just-announced 2015 Brandcameo Awards gave best product placement in an Oscar-nominated film to “The Theory of Everything” and its use of Tide detergent. But Tide was not the only product to appear in an Oscar-nominated film in 2014. 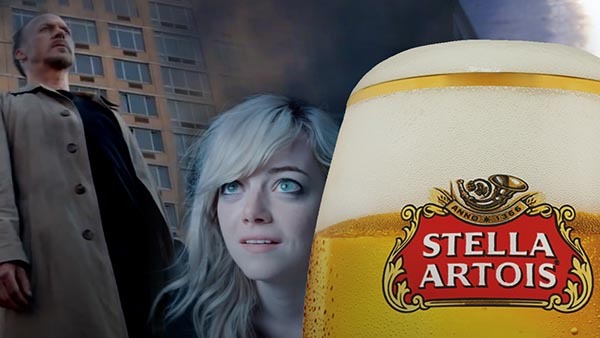 While the movie featured other passing products—Beefeater gin, Hairbond hair products, Crème de la Mer face cream, an Apple Macbook, Smith & Wesson—none have the prominence of the Stella Artois beer so meaningfully swigged by the film’s protagonist, played by Michael Keaton. For more information, check out the article here.